Relief materials have been distributed among river erosion affected people of Dhulia union of Bauphal upazila under Patuakhali district. 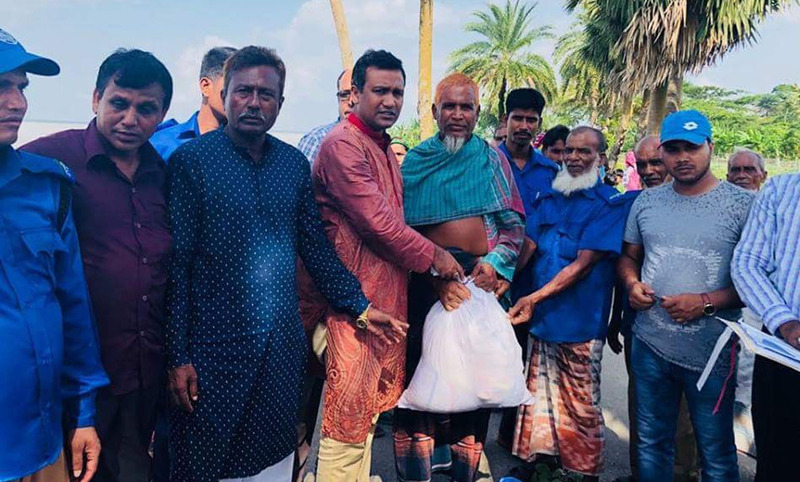 On Saturday, Bauphal Upazila nirbahi officer Pizus Chandra Dey, at the auspices of upazila administration, gave relief material among 70 people. Upazila Parishad Vice Chairman Mosharraf Hossain Khan and Patuakhali District Council member Zahir Uddin Babar were present, among others, on the occasion. Each of them was given 10 items, including rice, lentil, oil, sugar and biscuits. Meanwhile, there has been a huge loss of asset due to the continuous erosion by Tentulia River in Dhulia Union.